Hi Everyone.........Ann here with a quick and easy way to get a mirror image of a stamp. She uses a Misti in her video but also shows how to do the mirror stamping without a Misti which is how I did mine. I took an old cd case, put a piece of acetate on the right side held in place with magnets and used a clear stamp that was bigger than my ghost stamp. I flipped the clear stamp over so the flat side was face up and adhered it to the acetate. I then placed my ghost stamp on the left cover of the cd case, inked up the ghost stamp and closed the lid. This created a stamped image on the flat side of the clear stamp. I have to admit it wasn't perfect, so I used a thin marker and went over the mirror imaged stamp then cut it out. You can do this mirror image technique with any clear stamp. I hope you give it a try. 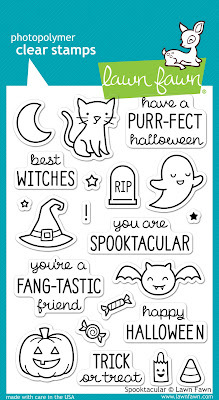 Super Halloween card. As always, I love the scene you have created. Lovely colours and great tutorial on the stamping, thank you! Super adorable and so clever of you to make a mirror image using a cd cover! Great tips and awesome card!! WOW what a 'spooktacular' creation Ann and awesome tips & tricks! Thanks for sharing and inspiring us all! 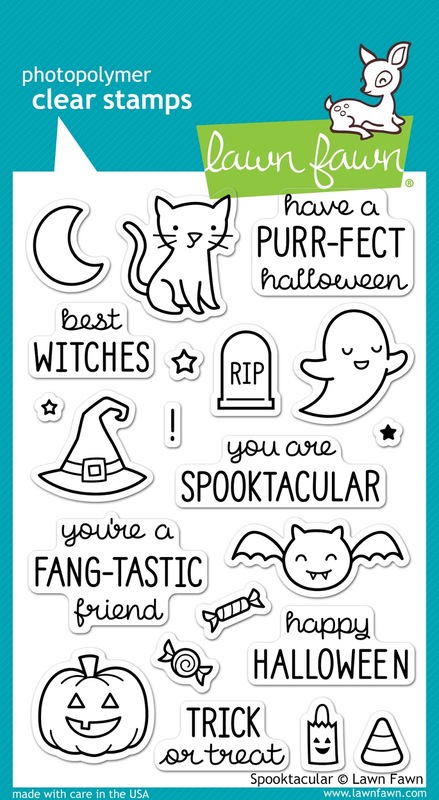 Fabulous card, wicked cute stamp set, awesome stamping tip!!! that is such a cute scene, love the little pumpkin too and the pretty sparkle framing of it all... thanks for sharing this new technique today, I have never tried that way of doing mirror image. It's funny that this card was posted on the same day as the blog hop for the MISTI. If I had a MISTI, I'd definitely use that over the cd case.